Introducing the Lakes of Woodbine, a planned neighborhood community! 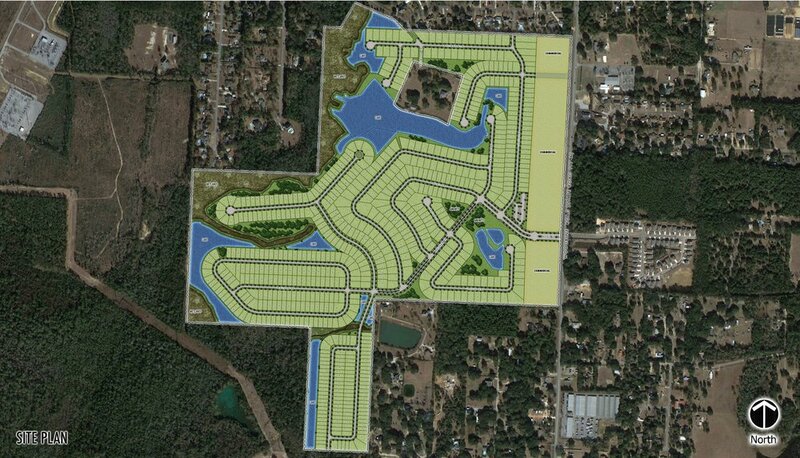 OLP is partnering with DR Horton to bring this 750-lot community to life on the west side of Woodbine Road in Pace, FL. OLP has worked carefully with award-winning design firms to consider all-natural elements of the planned 240-acre property, which will include a variety of single-family home designs, recreational and social amenities, and a neighborhood-friendly commercial parcel that will serve the community and local area. The design plan preserves the natural wetland areas bordering the property, enhances the interior lakes, and preserves the natural serenity of the community. Enhanced landscaping in and around the community’s native features will also enhance the Woodbine Road corridor.